Dean Sturman rolling the giant Easter eggs. 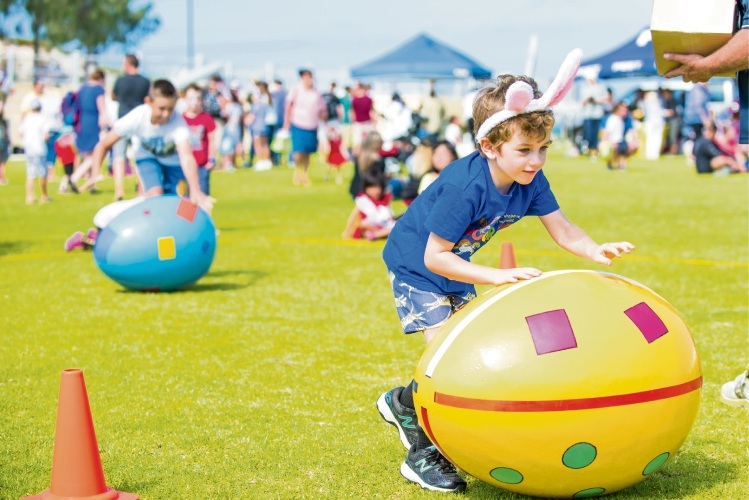 ALMOST 1000 people joined in the Easter Maze event in Alkimos, hosted by Shorehaven estate developer Peet at Waterfront Park on Saturday. 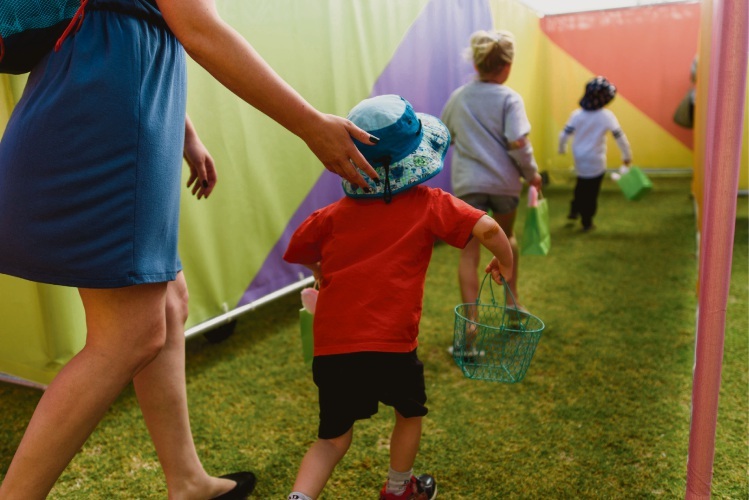 Maze runners tackled the 272sq m Easter-themed maze challenge when it opened at 10am and the Easter bunny greeted families as they entered the maze. The family festivities included egg and spoon races, rolling giant eggs to dodge cones and bunny hop sack races, as well as face painting, a craft station, giant jenga, giant volleyball and totem tennis. Easter egg hunt through the maze. Northshore Christian Grammar School cooked up a sausage sizzle and groups of families, friends and neighbours set up picnics overlooking the beach and the historic Alkimos wreck. Over the course of the event more than 7500 Easter eggs, 550 egg bags and 600 sets of bunny ears were handed out to visitors.